9781484174937 | Createspace Independent Pub, April 21, 2013, cover price $7.95 | About this edition: A truly warm welcome from two wonderful authors. 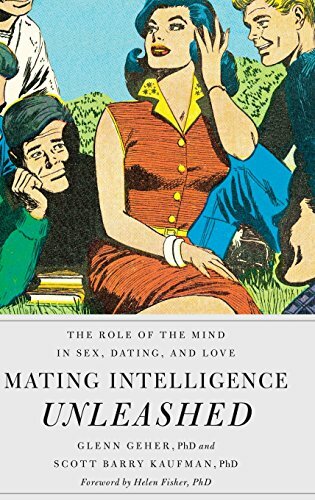 9780195396850 | Oxford Univ Pr, January 30, 2013, cover price $29.95 | About this edition: Psychologists often paint a picture of human mating as visceral, instinctual. 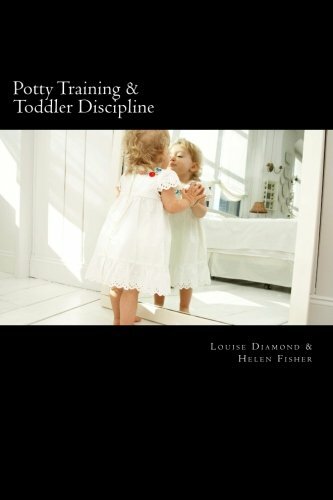 9781475287622 | Createspace Independent Pub, May 2, 2012, cover price $5.95 | About this edition: This Toddler Discipline Guide was designed to deliver rapid results using techniques that work if applied correctly. 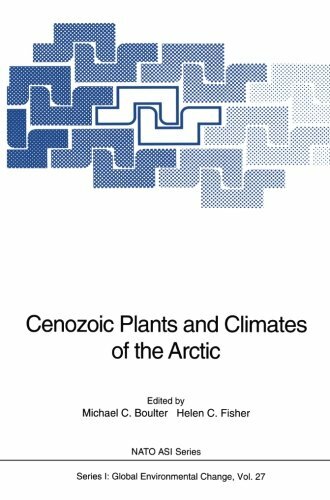 9783642793806 | Springer Verlag, November 22, 2011, cover price $149.00 | About this edition: Fifty million years ago, the Arctic Ocean was a warm sea, bounded by lush vegetation of the warm-temperate shores of Scandinavia, Siberia, Alaska and the Northwest Territories. A groundbreaking book about how your personality type determines who you loveWhy do you fall in love with one person rather than another? 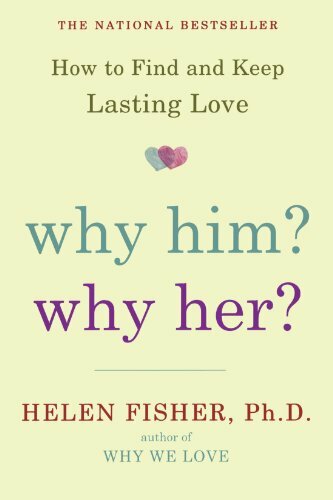 In this fascinating and informative book, Helen Fisher, one of the world’s leading experts on romantic love, unlocks the hidden code of desire and attachment. Each of us, it turns out, primarily expresses one of four broad personality types—Explorer, Builder, Director, or Negotiator—and each of these types is governed by different chemical systems in the brain. Driven by this biology, we are attracted to partners who both mirror and complement our own personality type. Until now the search for love has been blind, but Fisher pulls back the curtain and reveals how we unconsciously go about finding the right match. Drawing on her unique study of 40,000 men and women, she explores each personality type in detail and shows you how to identify your own type. Then she explains why some types match up well, whereas others are problematic. (Note to Explorers: be prepared for a wild ride when you hitch your star to a fellow Explorer!) Ultimately, Fisher’s investigation into the complex nature of romance and attachment leads to astonishing new insights into the essence of dating, love, and marriage.Based on entirely new research—including a detailed questionnaire completed by seven million people in thirty-three countries—Why Him? Why Her? will change your understanding of why you love him (or her) and help you use nature’s chemistry to find and keep your life partner. 9780805082920 | 1 edition (Henry Holt & Co, January 20, 2009), cover price $25.00 | About this edition: A groundbreaking book about how your personality type determines who you loveWhy do you fall in love with one person rather than another? 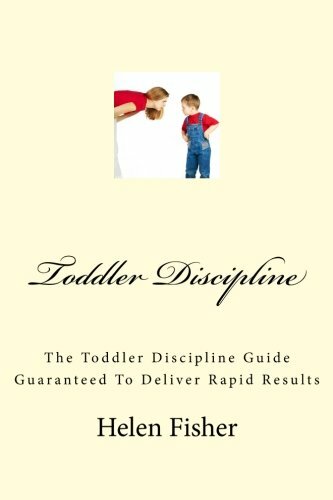 9780805091526 | 1 reprint edition (Henry Holt & Co, January 5, 2010), cover price $18.00 | About this edition: The national bestseller that shows you how a better understanding of who you are will help you find and keep the love you wantHelen Fisher can often tell, almost instantly, the hidden strengths and weaknesses in a relationship that are likely to keep a couple together or pull them apart. 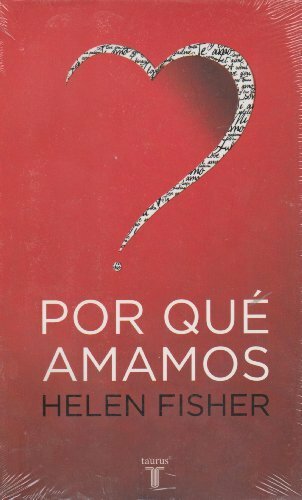 9788466314916 | Punto De Lectura, February 28, 2005, cover price $10.99 | About this edition: In this groundbreaking exploration of our most complex and mysterious emotion, renowned anthropologist Helen Fisher explains why this experience —which cuts across time, geography, and gender— is a force as powerful as the need for food or sleep. 9789681915353 | Taurus, August 30, 2004, cover price $21.95 | About this edition: In this groundbreaking exploration of our most complex and mysterious emotion, renowned anthropologist Helen Fisher explains why this experience-which cuts across time, geography, and gender-is a force as powerful as the need for food or sleep.